Have you ever heard of einkorn? I hadn’t either! I saw a pasta made from einkorn at the store the other day and decided to learn more about it. Einkorn is an ancient grain. In fact, it was first cultivated by man over 12,000 years ago! It is called a “pure” grain because it has never been hybridized. Einkorn still contains only two pairs of chromosomes vs. the six pairs in modern wheat. Einkorn is high in protein, lutein, B vitamins and dietary fiber. Einkorn has a lower gluten content than modern wheat and tends to be tolerated by people who have a sensitivity to modern wheat. (Note: einkorn is NOT appropriate for anyone with Celiac disease). Einkorn has a rich, nutty flavor and a chewier texture than modern wheat. 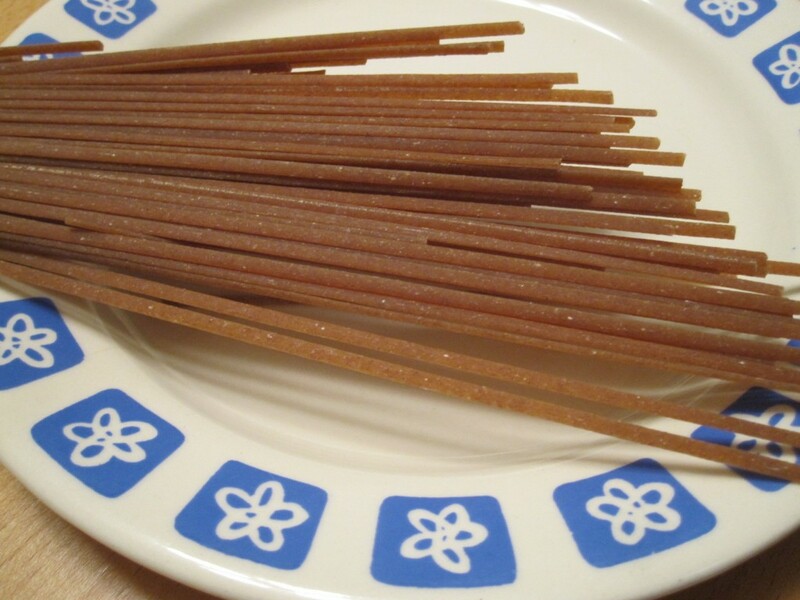 There is a pasta made from einkorn by a company called Jovial. The Jovial website has information that compares the nutritional content of einkorn to that of traditional wheat. I made some einkorn pasta and garnished with fresh veggies. The reddish color of the pasta comes from the high lutein content in einkorn. The texture was pleasantly chewy (but not grainy), and the pasta had a natural nutty flavor. I’m glad to report that Jovial einkorn pasta is delicious! I’ll definitely be adding einkorn to my repertoire of grains. 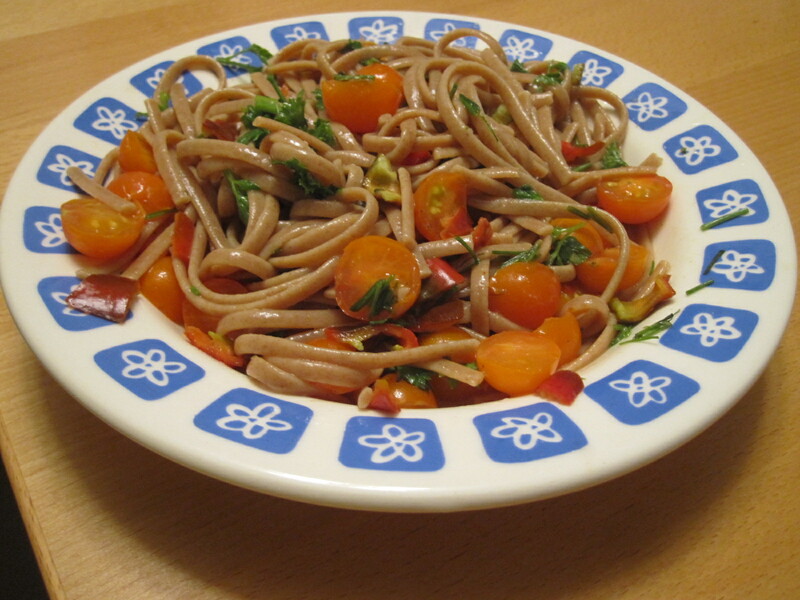 Jovial whole grain Einkorn pasta is by far my favorite pasta. It is not heavy, tastes great and leaves you with a satisfied and healthy feeling. Einkorn has been part of the cuisine in Provence, France for centuries where it is called Le Petit Epeautre. We often hear people rave about an Einkorn dish called Salade d’Epeautre where whole Einkorn is cooked like rice and tossed with vegatables and herbs to make a pasta salad of sorts. You can buy whole Einkorn berries at http://www.einkorn.com if you’d like to try this dish.